Do you know the difference between a cone safety truck and a traffic control truck? While the two trucks may seem very similar upon first glance, there is one significant difference between the two. The main difference between a cone safety truck and a traffic control truck is the arrow board. Traffic control trucks (like the left picture) have an arrow board or message board while cone safety trucks (like the right picture) do not. 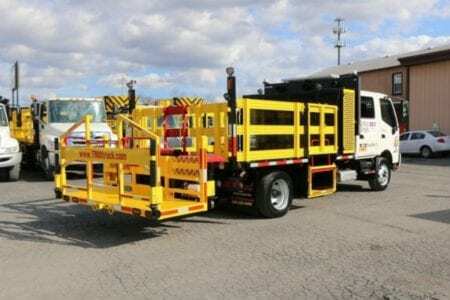 In this case, the traffic control truck or cone safety truck is used to place channelizing devices, such as cones or barrels, to transition traffic from the normal flow into the work zone. As per Figure 6F-7 in Section 6 of the Manual on Uniform Traffic Control Devices (MUTCD), there are several different options for channelizing devices (see image below). If your company is working with a traffic control truck, Section 6 of the MUTCD also gives guidance on how to use the arrow board. For operations on highways, the MUTCD recommends the use of the Type C arrow board, which has a minimum size of 96”x 48”, a minimum legibility distance of 1 mile, and contains a minimum of 15 elements. While the MUTCD specifies that it must have a minimum of 15 elements, some states go above and beyond this number and set their own minimum. For example, Montana Department of Transportation requires arrow boards, “equipped with at least 25 lamps,” according to the 2014 edition of the “Standard Specifications for Road and Bridge Construction.” For a complete listing of state specific regulations, including arrow board regulations, contact us here. 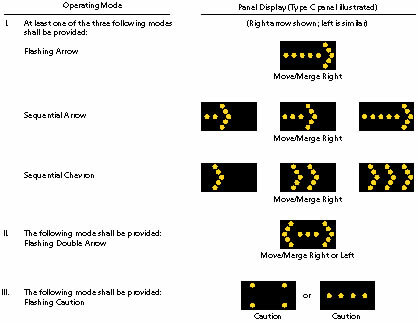 In terms of operating the arrow board, the MUTCD also offers guidance on the different modes and when to use them. “An arrow board in the arrow or chevron mode shall be used only for stationary or moving lane closures on multi-lane roadways. Arrow boards and message boards have been proven to be an effective method in reducing speed in work zones. Just how effective are they though? In a study done by Ali Jafarnejad and John Gambatese of Oregon State University entitled, “Evaluation of Radar Speed Display for Mobile Maintenance Operations”, it was found that the presence of a radar speed sign reduced the average speed of vehicles traveling through the work zone as well as the percentage of vehicles that were speeding. Why is reducing a vehicle’s traveling speed in a work zone so important? Because it plays a significant role in crashes in work zones. According to the Federal Highway Administration, speeding was a factor in 28% of the 607 fatal crashes in work zones in 2014. Ultimately, reducing the speed of vehicles traveling through a work zone improves the general safety of the work environment. The difference between a traffic control truck and a cone safety truck is the inclusion of an arrow or message board, with the latter not having one. 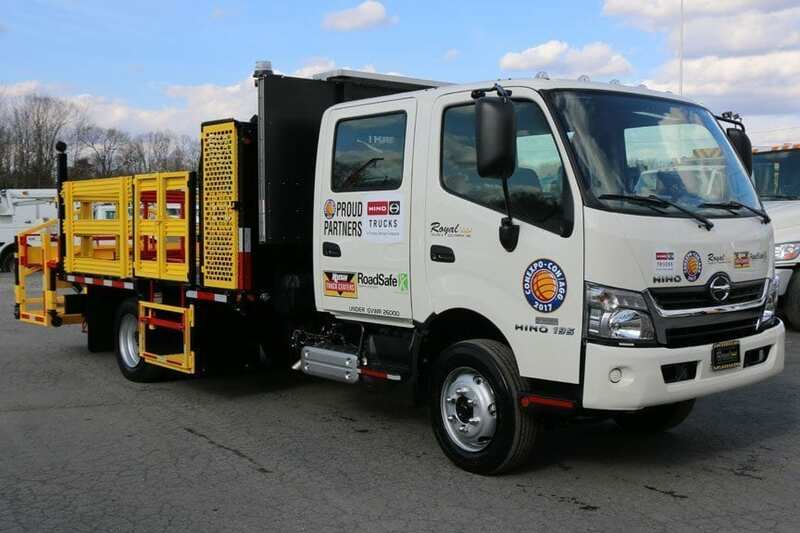 No matter which truck you have though, it is imperative that you are using it in the safest manner possible and in accordance with MUTCD recommendations and state regulations. 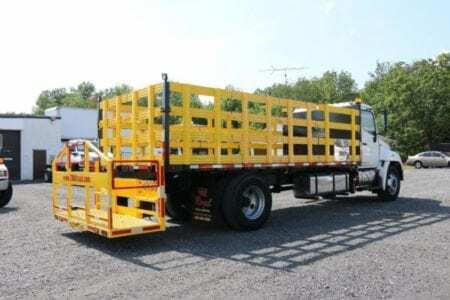 There is a lot to look for when choosing the right traffic control truck for your construction project. However, as the article points out, safety needs to be the number on priority when choosing your truck. After all, you’ll want to make sure that you are choosing one that can keep everyone safe.